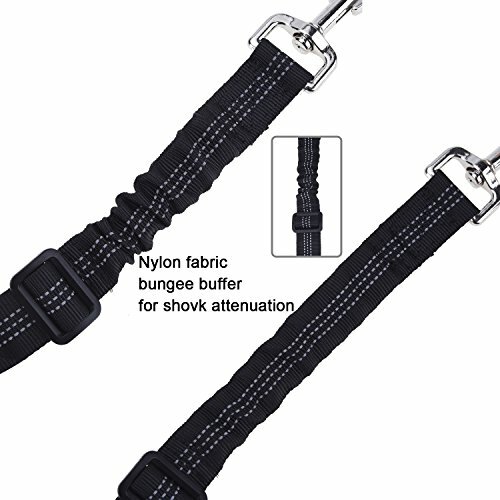 Good quality nylon fabric dog car harness has elastic bungee buffer; With an adjustable length, let your pet freedom to sit, lay down, or stand freely. Keep him/ her in the back seat, avoid them hurting in a crash or jumping out the window. 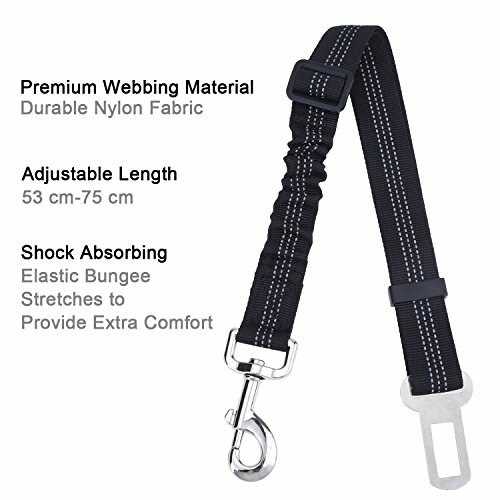 It will protect your pet from sudden stops and turns. 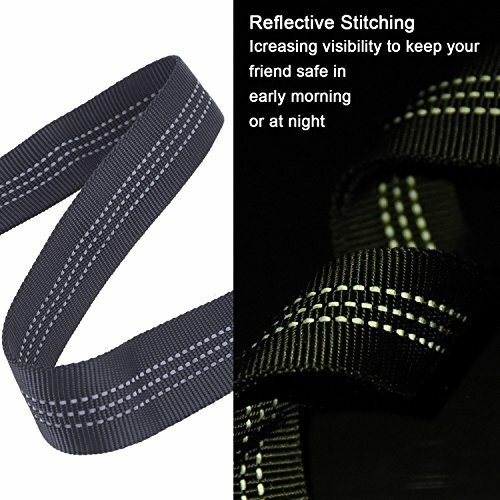 Dog seatbelt harness is enable to keep the pet far away from the center console while you are driving, prevent a frightened dog from jumping into the front seat which will distract a driver. Simply clip the pet seat belt onto your pet harness, and snap the belt tab right into the seat belt receptacle of your vehicle, securing your pet into place. 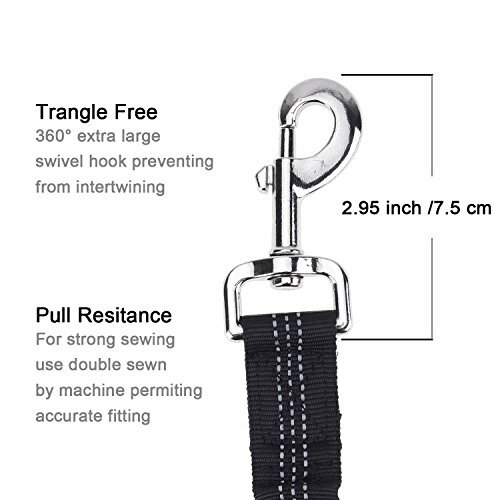 No tangle hook: 360 degree extra large swivel hook preventing from intertwining. Universal standard belt clip: fit to most of kind of vehicle. 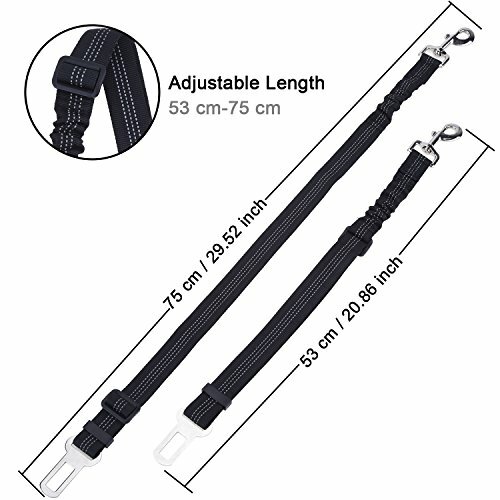 This pet safety harness must be connected with a body harness to protect dog’s safety. 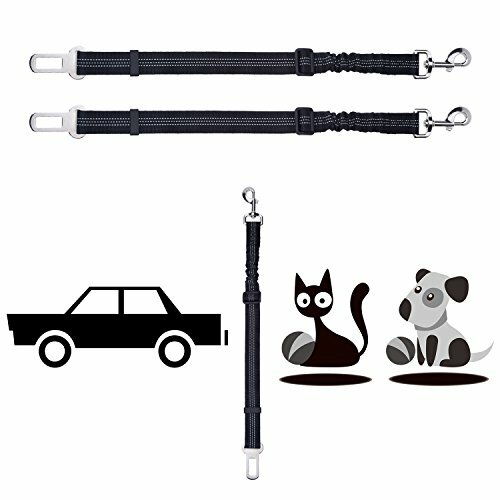 This product is designed to prevent driver distraction and restrain the dog to one position in the vehicle. 1. In the event of a car accident it may not prevent injury to the passengers or your dog. 2. Inspect attachment for wear or abrasion and do not use if seat belt is compromised or damaged in any way. 3. 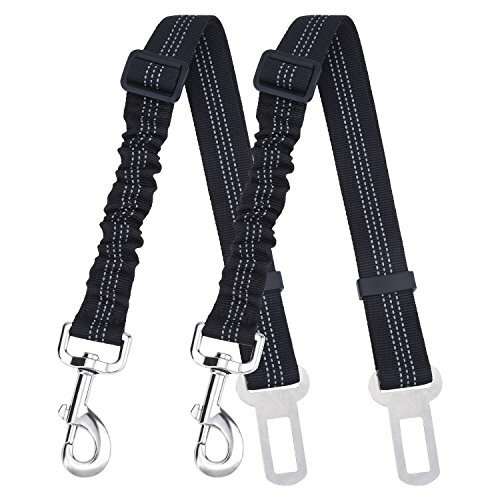 Please note the tether attaches to a dog collar or harness, and inserts into most vehicle seat belts. 4. 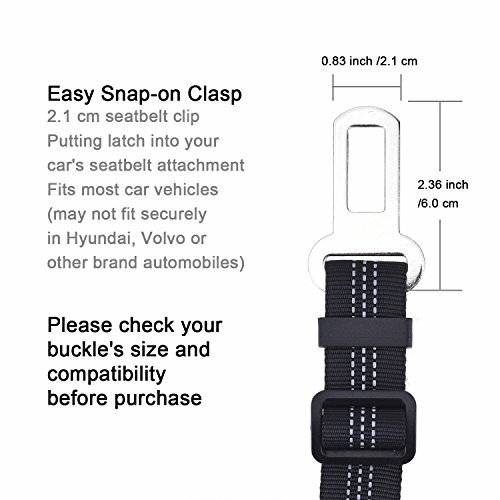 The tab on the seat belt clip is 2.1 cm and may not fit securely in Hyundai, Volvo or other brand automobiles. 5. Please check your buckle’s size and compatibility before purchase.